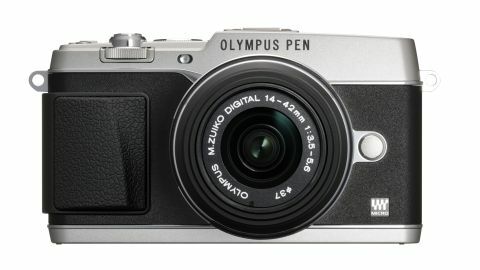 Could this be the best Olympus camera to date? We have not been disappointed by image quality from this camera, it matches the OM-D E-M5 in terms of detail and vibrance. The E-P5 is also well suited to shooting a wide range subjects. As one of the early innovators in the compact system camera market, Olympus has enjoyed great success with its PEN range of Micro Four Thirds cameras. The retro designs of the PEN series have always appealed to those photographers hankering after the golden age of photography. The Olympus PEN E-P5 is no different. The original digital PEN camera, launched all the way back in 2008, was a bit of a game-changer. In terms of camera technology, five years is a long time, so expectations for the fourth generation of the top-of-the-line series were high. Olympus says it has pretty much gone back to the drawing board for this latest PEN incarnation, but there's no denying that it takes its lead from both the Olympus PEN cameras of old, and the fantastic Olympus OM-D, which made its debut at the beginning of 2012. Inside the Olympus PEN E-P5 is the same 16 million pixel sensor and TruePic VI processing engine as in the Olympus OM-D, which should mean it is capable of the same impressive image quality. The design is very much inspired by the original film PEN, and particularly the black and silver incarnation. It's enough to make anyone looking at the front of the camera do a double take. Of course, the technology inside the camera far surpasses that of its film forebears, and is also a significant jump from the previous Olympus PEN E-P3 camera. There's also enough here to make it, in some respects, a step up from the Olympus OM-D itself. Aside from the same sensor and processor as the Olympus OM-D, the Olympus PEN E-P5 boasts an impressively fast maximum shutter speed of 1/8000 sec. That's something that is currently offered by the likes of professional DSLRs, such as the Nikon D4 and Canon 5D Mark III, so to see it on a CSC priced at just £899 (around AU$1,368 / US$1,399) is quite something. That fast shutter speed means that not only should the camera be capable of capturing fast-moving subjects, it can also shoot at wide apertures in bright sunlight. Combine that with the new low sensitivity setting of ISO 100, and you've got a recipe for some really creative outdoor work. Olympus knows that it is a brand enjoyed by the creative photographer, so it's no surprise to see a high number of digital filters, such as Cross Process and Dramatic Tone, making a reappearance on the latest model of the camera. There's also the addition of Focus Peaking, a great tool for those who want to focus manually. Live Time and Live Bulb, the innovative way of shooting long exposures as introduced on the Olympus OM-D, is also found on the Olympus E-P5. This enables you to shoot very long exposures while watching the image build up on the screen. It takes the guesswork out of this kind of photography, since you can see exactly when to stop the shutter. Olympus has now included a histogram view while using this mode to further assist the user. A Photo Story mode is also included. This is something that made its debut on the Olympus XZ-10 compact camera and basically enables you to create a montage of photos within the camera itself. Unlike on the Olympus XZ-10, however, each photo that makes up the montage is saved in raw format, as well as a JPG of the finished montage. This means you can use each individual photo at a later date if you want to. Another feature brought across from the Olympus OM-D is the 5-axis image stabilisation system. Compensating for pitch, rolling, yaw and horizontal and vertical movement, the results of this stabilisation can now be seen in Live View thanks to improvements in battery technology. Shooting at up to 9fps is possible, but again this has been improved from the Olympus OM-D as this 9fps also includes continuous autofocusing. Add in tracking and the rate is a still pretty impressive 5fps. This is another feature we'll be keen to put through its paces. Improving the speed of the camera is something Olympus has seemingly worked very hard on. The new Olympus PEN E-P5 boasts a start-up time of just 0.5 seconds, something that is matched only by the Fuji X-E1 when in its fast switch-on mode. We'll be interested to see how short the shot-to-shot and processing times are, though with the TruePic VI processor onboard, it's likely to be very fast. Olympus admits it has been late to the Wi-Fi party, but the PEN E-P5 is now fully equipped with this built in. The company claims being late has enabled it to study and improve upon the competitor's offerings. One such feature is the ability to scan a QR code to connect the camera, rather than having the hassle of entering passwords. While the Olympus PEN E-P3 had a fixed touchscreen, the Olympus PEN E-P5 has a tilting, capacitive device. It's the same 3-inch device as found on the Olympus OM-D, so we expected a very responsive and easy to use design. The touchscreen enables the autofocus point to be altered, or the shutter itself fired.